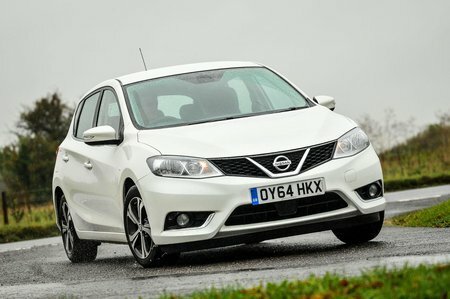 Nissan Pulsar Interior, Sat Nav, Dashboard | What Car? There’s plenty of adjustment to the Pulsar’s seat and steering wheel, both for reach and rake, to help you find the ideal driving position. Unfortunately, the seat isn’t particularly supportive, and adjustable lumbar support isn’t available even as an optional extra. Some drivers may find the car more tiring to drive than it should be, over longer distances, as a result. At least easily labeled and accessed controls make it easy to make changes to the radio and air-con on the move. Wheel-mounted audio and cruise controls are standard across the range, which means you don’t have to take your hands off the wheel as often. All-round visibility is excellent, thanks to the Pulsar’s tall windows and slim pillars, and it’s easy to judge where the corners of the car are. 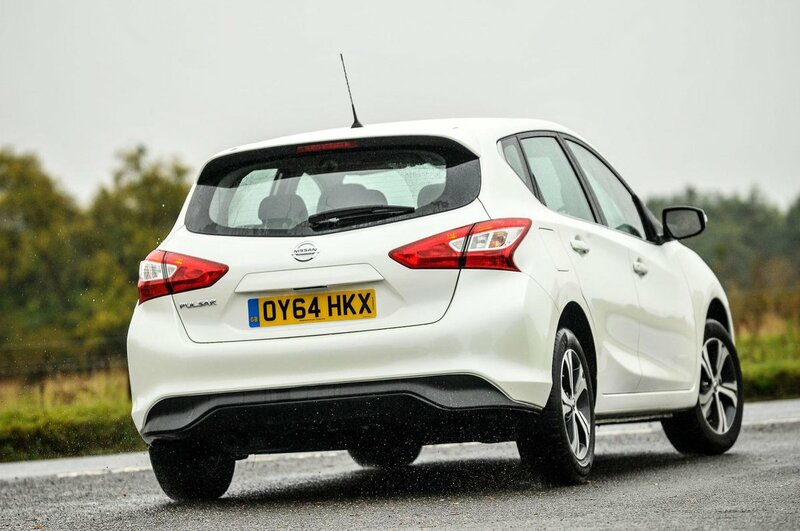 This makes manoeuvring and parking the Nissan easy. A reversing camera is standard on n-tec models, while Tekna trim cars get Nissan’s Around View Monitor system. This great feature displays an overhead 360-degree view of the car, making it really easy to fit the car into gaps. This can also be combined with a system that allows the car to park itself. Visia and Acenta versions don’t get a central touchscreen, just a small display for the radio and media system. They do get a neat 5.0in driver’s display, in the instrument cluster, however – as do the more expensive models. It’s very clear and shows a useful array of information which can be scrolled through. 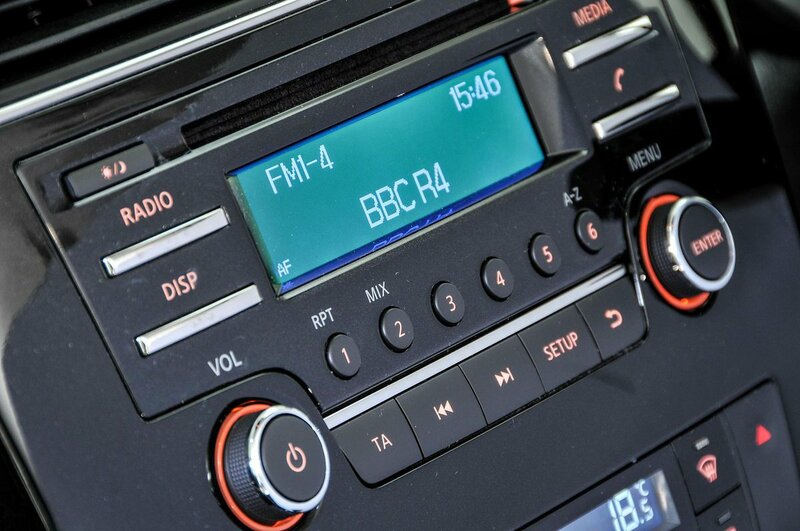 Higher-spec n-tec and Tekna models get Nissan’s 5.8in touchscreen sat-nav and media system, which includes a DAB radio and reversing camera. This Nissan Connect system is intuitive and quick to respond to commands. At first glance, the Pulsar’s dashboard looks very similar to the one in the Qashqai. Start touching with it, however, and you’ll quickly realise it isn’t built with quite the same high-grade materials, and there’s some particularly cheap-feeling plastic on the back of the steering wheel and above the instrument binnacle. A slightly ungainly-feeling wheel detracts further from the quality of the cabin. That said, it feels well assembled and durable, which should help it cope with the rigours of family use.